If you are interested in a product not shown, please submit a quote request. Made up of two factory-painted sheets of aluminum permanently bonded to both sides of a corrugated plastic core. Available in extra heavy duty, 1/2" thickness. Standard material thickness is 1/4". Rustproof, waterproof and rot proof. Highly tolerant of environmental temperature extremes and heavy percipitation. 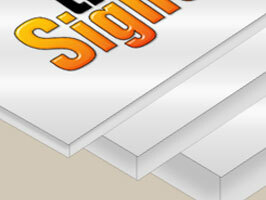 Plastic edge capping is available for a finished appearance. Alumalite Signs can last indoors for decades. Any size, and virtually any shape you want. 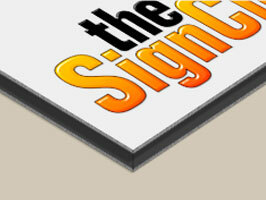 Any design, artwork, photo or logo can be used for Alumalite custom signs. Any size, thickness, shape you want. 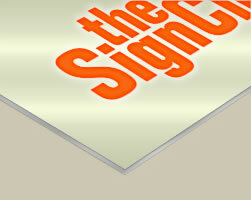 ARMOUR-Wood Signs have the highest rigid panel strength of all sign materials. The sign panel itself is made up of solid wood core that is factory sealed with an aluminum, armour plate shield on both sides. Comes in an extra heavy duty, SOLID, 1/2" thickness. ARMOUR-Wood Sign last for decades indoors. Signs made from ARMOUR-Wood have a high tolerance for extreme cold and hot weather. ARMOUR-Wood is rustproof and waterproof. 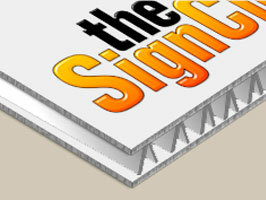 Sign panels are highly rigid and weigh only 2 pounds per square foot. They come standard with edge caps that provide a professional, finished appearance. Edge caps permanently seal the edge of the sign. Any size, any color you want. 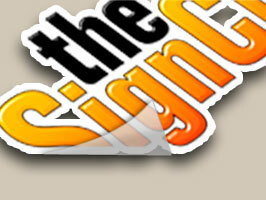 Any design, artwork, photo or logo can be used for ARMOUR-Wood custom signs. Made from durable 4 mil. vinyl. Vinyl bumper sticker's high intial tack makes for easy application. Can be removed within 6 months of application. 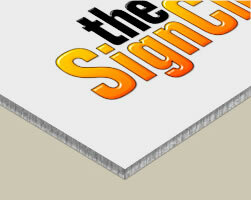 Custom Dura-wood Signs are well known for high panel strength. 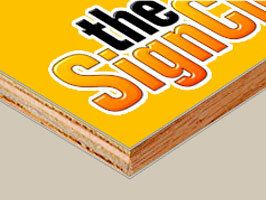 Our rot-safe Dura-wood Painted Signs start with a high quality MDO (Medium Density Overlay) plywood core. The wood is factory sealed with an unusually durable painted finish. 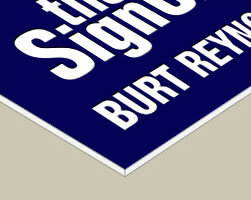 Dura-wood signs last for decades indoors. 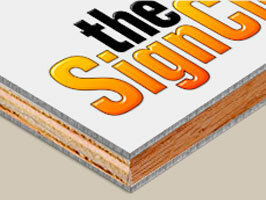 Heavy-duty wooden sign panels come standard in 1/2" thickness. Signs made from wood can be one-sided or two-sided. Dura-wood has a high tolerance for cold and hot weather extremes, and humid and wet climates. 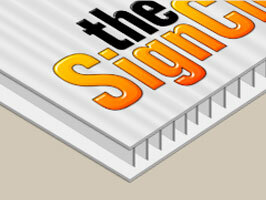 Panels are highly rigid and weigh only two pounds per square foot. 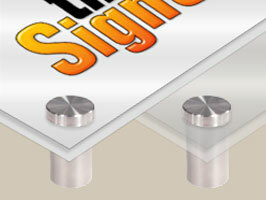 Dura-wood signs are easy to mount (Mounting kits are available). 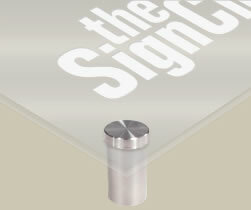 Plastic edge cap available for additional edge protection and appearance. Any size, any shape, and virtually any color you want. 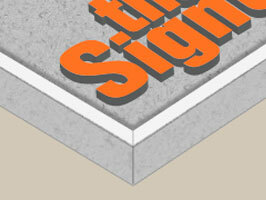 Sign styles have an attractive, rustic finish. 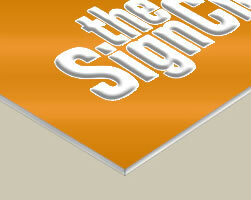 HDU background with carved raised letters, creates a professional look, with more character than a flat sign. 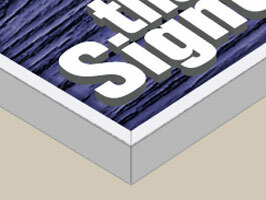 Available with a smooth background, carved wood background, pebble texture background or venetian grain. Available in 1 1/2", 2", 3", 4" thickness. Translucent window cover, allowing light to pass through. 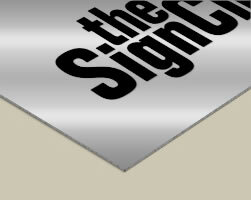 Thin, 30 mil durable magnetic material. 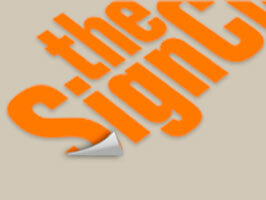 Magnetic Signs can last for decades indoors and outdoors. Custom Magnetic Signage is your only choice if you need the flexibility of taking signs on and off your vehicle repeatedly. 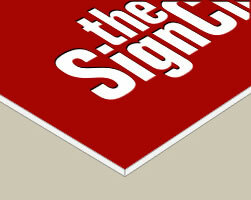 The Magnetic Sign material can be sized to fit your door perfectly. 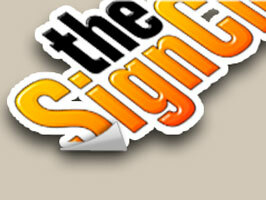 Magnetic Signs can be customized with any design, artwork or letter style. 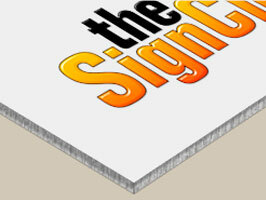 Our high strength magnetic sign material is designed to withstand high speeds of up to 135 mph. 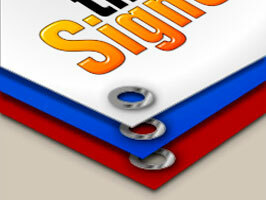 Plus, Scratch*Guard Brand Magnetic Signs provide a critical layer of protection! Laminated 36 mil. for long term use. 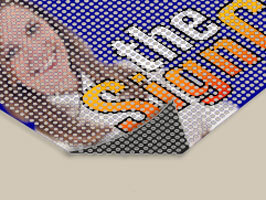 Vinyl Mesh Banners are completely waterproof. 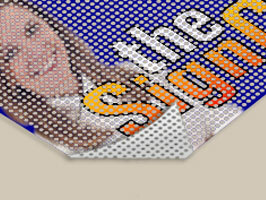 Mesh banners are only available as one-sided banners. 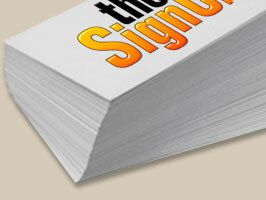 Thin, 19 mil durable magnetic material. Mini Magnets can last for decades indoors and outdoors. Mini Magnets can be customized with any design, artwork or letter style. 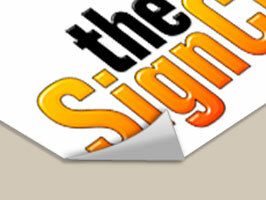 Ideal for outdoor signage, lasting up to 5 years outdoors. A vibrant, high gloss finish. Or a more conservative, super smooth, matte finish. 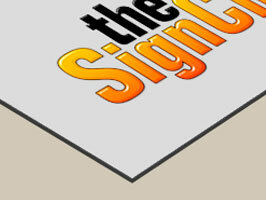 Trade Show Banner signs can be one-sided or two-sided. Reusable for every season or promotion. Heavy, dark colors are not recommended, excess ink can impede the adhesive qualities of the film. 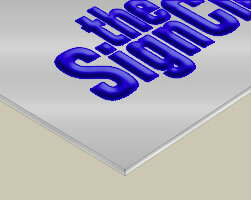 Sandblasted background with carved, raised letters creates a professional look, with more character than a flat sign. Natural material so every redwood sign is completely unique. Available in 1 1/2" thickness. Includes brackets for hanging and a "chalktray" for holding dry erase markers.